Beyond The Nile Tours established in 2012 by highly experienced team. Over the years, we have continued to develop a product that truly meets our customers needs. We have a wide range of high quality escorted tours that offer a broad compass of experiences. Our goal is to exceed our clients expectations. With Beyond the Nile Tours you will enjoy first class transportation and accommodations, while away the hours in comfort after visits to such historical sites such as the Great Pyramids, the Temple of Abu Simbel, the Valley of the Kings, the Cairo museum just to name a few. 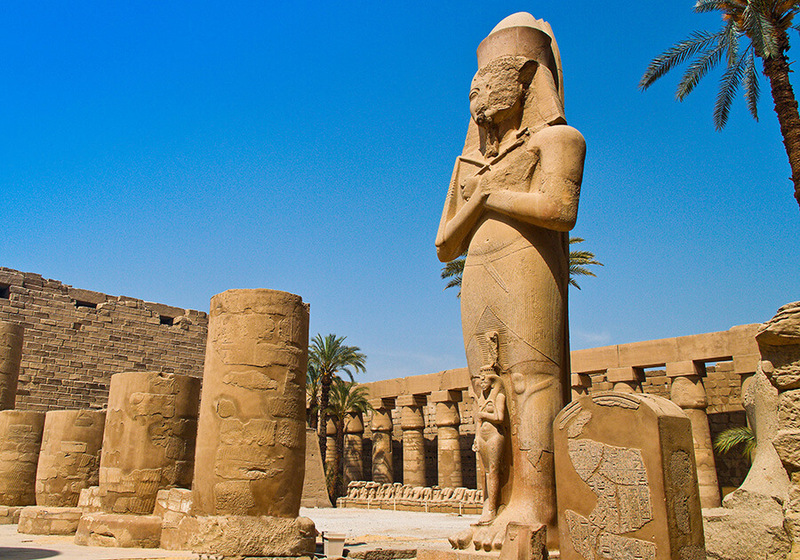 Enjoy the magnificent sunset views at the majestic temples of Karnak and Luxor. Come experience a 5 star Nile cruise to all the important stops along the Nile. And don't miss the red sea coast where's year-round sunshine, turquoise waters, incredibly beautiful coral reefs and dozens of exciting attractions in a laid back relaxed atmosphere. We have only one condition! We won't leave your pockets empty our tours are priced competitive to allow everyone to come visit and enjoy Egypt! Are you looking for something different? Beyond of The Nile team will be happy to build a tour for you. Should you have a desire to see something not listed, just ask we are flexible and will work towards getting that special trip custom made for you, at a non-custom price. I began my career in travel back in 1990, and after many many years of retail experience. I became a home-based travel agent working with Flight Centre Associates. In 2014 I graduated with a Certificate in Egyptology from the University of Manchester. My passion for this country and its History is why I wish to share it with you. As his title states, he is the heart of our business. His knowledge is what makes Beyond The Nile Tours come alive. He develop and nurture strategic partnerships and environmentally sustainable practices and operations with all tourism activities. Ensuring that health and safety policy and procedures are in place at all times. Recruit, train, supervise and ensure quality control over all staff involved in tourism operations. Along with all our local guides and support staff. Danielle is a creative young lady who loves to travel. She likes challenges as is always up to the task. She assists with answering messages, computer related issues and general office duties. Adham his tourism field experience, makes him leading the operations sales, assist in the development of strategic plans for operational activity. Manage day-to-day operations the company, office administration. Analyze and improve operational efficiency systems and processes. Ramsis has Bachelor’s degree and related field certifications Tourism & Hotels management and he has excellent interpersonal skills and supportive, tactful and approachable manner. As a holiday representative on a tourist resort, is a useful stepping stone into tour management. His knowledge and sense of fun with travelers and ensuring they have the opportunity to experience the best of Egypt has to offer in safety and comfort. His tours give you an insight into local tastes and traditions, you have time to truly savor your experience in Egypt. Mac has been working in and around Egypt for over 10 years since he has the Bachelor’s degree and related field certifications Tourism guidance. he has extensive knowledge of Egypt history, local culture, traditions as well as other facts. He loves to travel everywhere in the globe. Hospitality in Egypt is exceptionally important and part of the Egyptian personality. We simply apply this for Beyond The Nile's travelers. Although applying such a cherished value to a very competitive market was not easy, we are proud to say that our team members treat our guests as if they were home.